There are only a few days left between now and October 10, but James Blake fans can shorten the wait for his new EP, Enough Thunder, by checking out a live performance of the title track, along with five other tracks from the self-titled LP, that Blake did over at KEXP. Enough Thunder will be out in the UK on the 10th and in the US on the 4th. 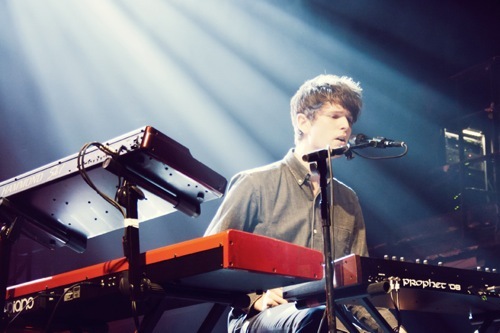 Since unleashing his epic collaboration with Bon Iver‘s Justin Vernon on the world,James Blake has stirred quite a bit of discussion about something new called Enough Thunder, which was included in the Youtube description for “Fall Creek Boys Choir”. Now we know that it is the name of Blake’s forthcoming EP, which will be released on October 10 via Atlas Records, the same independent label that released his critically-acclaimed self-titled debut this past February. The six-track EP will include “Fall Creek Boys Choir”, a cover of Joni Mitchell’s “A Case of You”, and four new songs. If you haven’t heard it already, you can listen to “Fall Creek Boys Choir” after the break. You can also grab it on iTunes here. James Blake and Bon Iver‘s first and widely anticipated collaborative track, “Fall Creek Boys Choir”, was just released by Blake on his Youtube page. 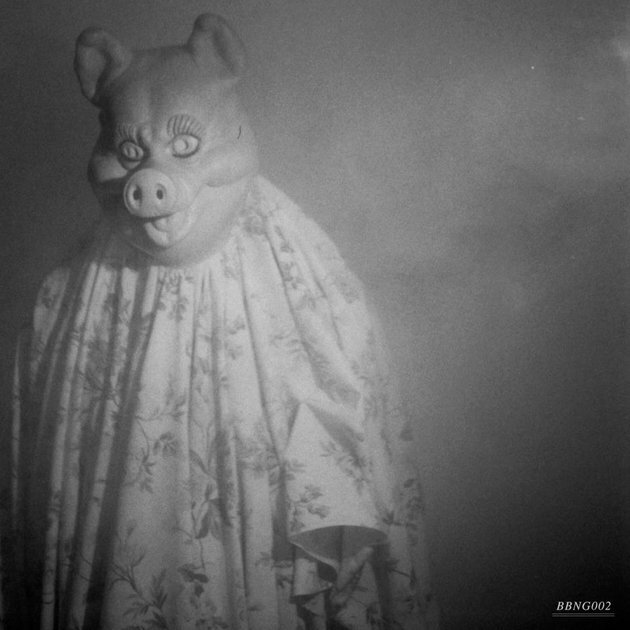 Featuring production by Blake and vocals from Vernon, “Fall Creek Boys Choir” is a pretty minimalistic effort. Vernon’s signature auto-tuned falsetto meshes pretty well with the simple, thumping bassline throughout the song. My only complaint? Blake seems to be incorporating a random dog bark in the beat, which seems to disturb the flow of the song rather than help it. Give the track a listen below. The track will be available for purchase on iTunes next week on August 29, 2011 and according to the Youtube page, “Enough Thunder – Oct 2011”. Could it be another new song or a full-fledged EP or album? No word yet, but any further efforts by these two should be of extremely high quality. Now that Kanye West and Jay-Z have teamed up and released Watch The Throne, it seems like more superstar collaborations are in our future. Indie kings James Blakeand Bon Iver, who both released critically-acclaimed albums this year, have teamed up and will be releasing, well, something. Taking to his Twitter account, Blake posted the following cryptic message: “24th August 2011 – James Blake & Bon Iver ‘Fall Creek Boys Choir'”. 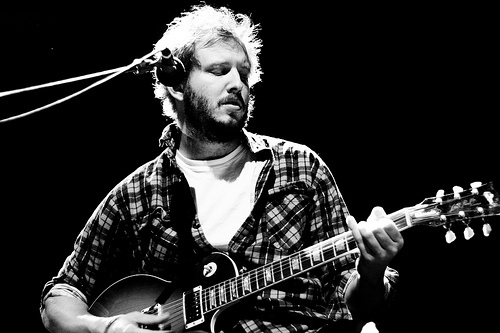 Justin Vernon owns a studio in Fall Creek, Wisconsin and the two both have incredible singing voices. As for what this project will be? No real details have been revealed. Head over to Pitchfork to listen to two minimalistic new songs by electronic/dubstep producer James Blake. The two songs, “Order” and “Pan”, will be released as a single on July 11th by Hemlok. Blake was runner-up in BBC’s Sound of 2011 poll and released his self-titled debut album February 7th on Atlas Records.